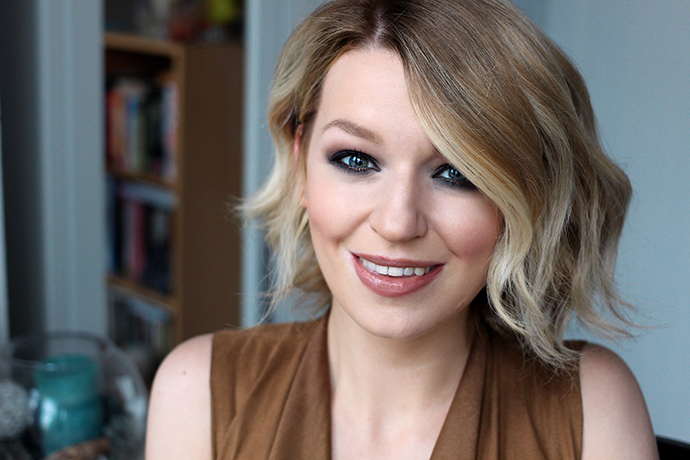 Create Waves With TONI & GUY Fluid Metal Styler + Giveaway! 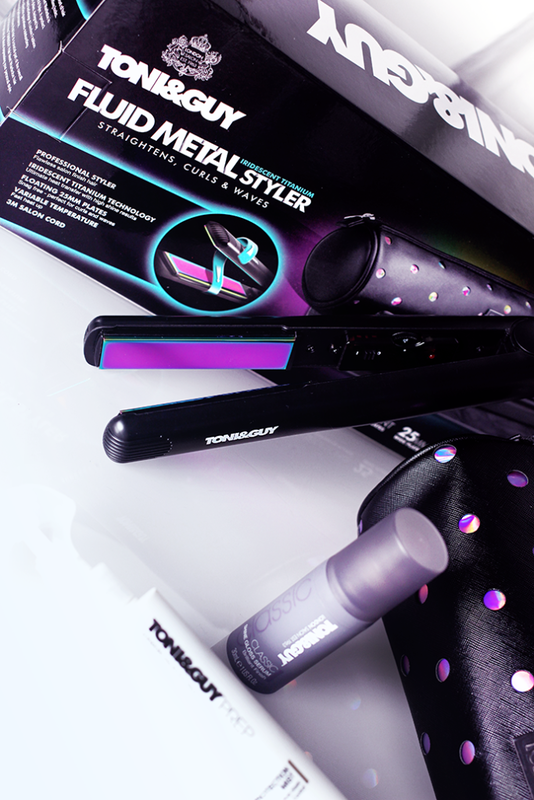 I just love all things pretty and glittery and shiny, so obviously I was going to fall in love with the new Toni & Guy Fluid Metal Styler. 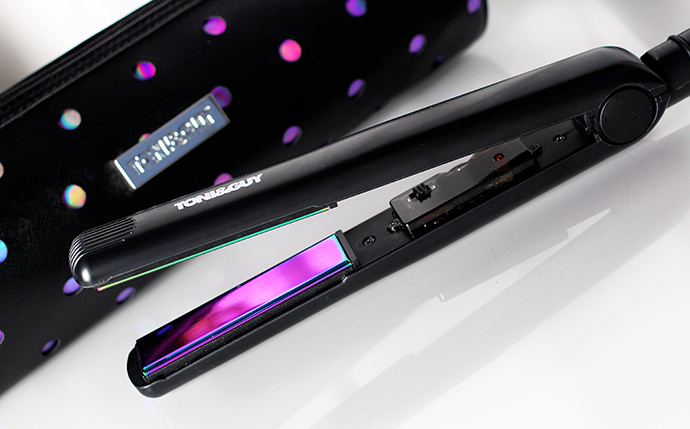 Move over boring old straighteners, you have been replaced with this awesome iridescent titanium beauty. Oh and guess what, if you carry on reading, you can find out how to win your very own set. 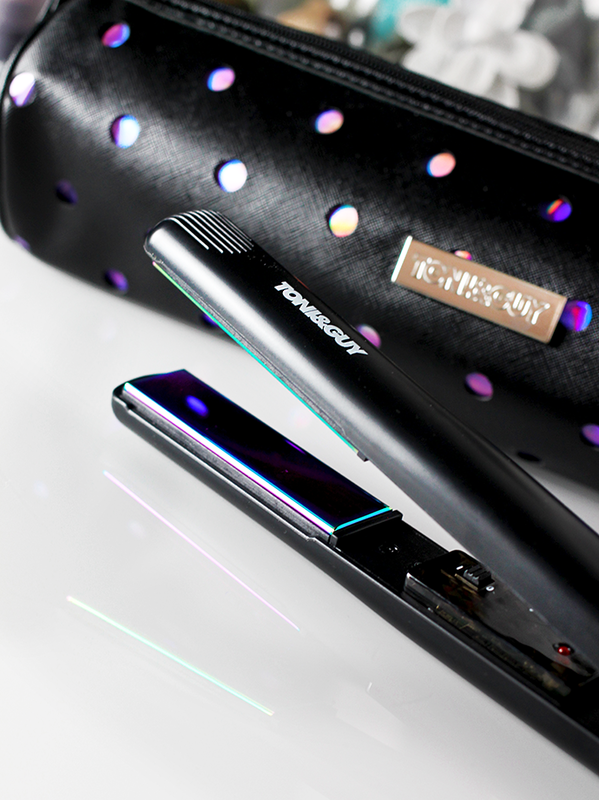 I find a lot of straighteners can catch and drag along my hair, which is never great when you are using hot appliances, but these ones are exactly as they are named, extremely fluid and literally glide through my hair with ultimate ease. Did I mention just how pretty they are?? 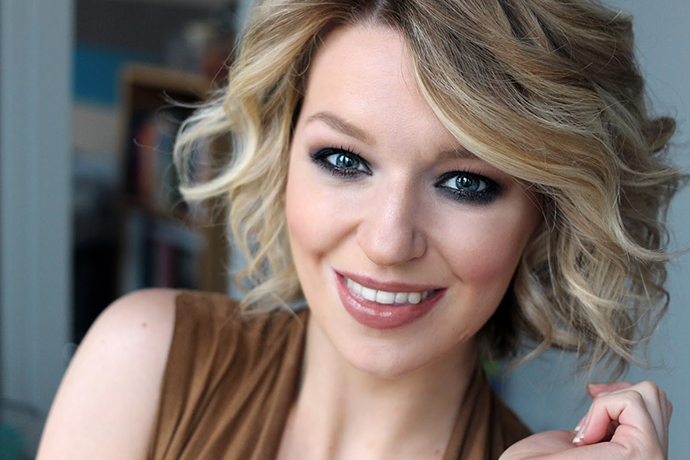 To create wavy hair, I like to fully curl my hair first, using the classic technique of taking small sections at a time, and holding each piece of hair the opposite way to that of the direction you will move the straighteners. Think of the way you would curl a piece of ribbon, and apply this to the way in which you would curl your hair. 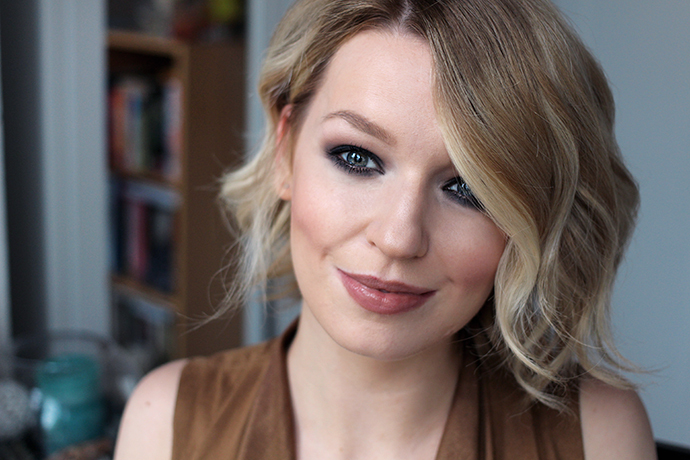 It takes a bit of practice, but I promise the Fluid Metal Styler is fool proof. 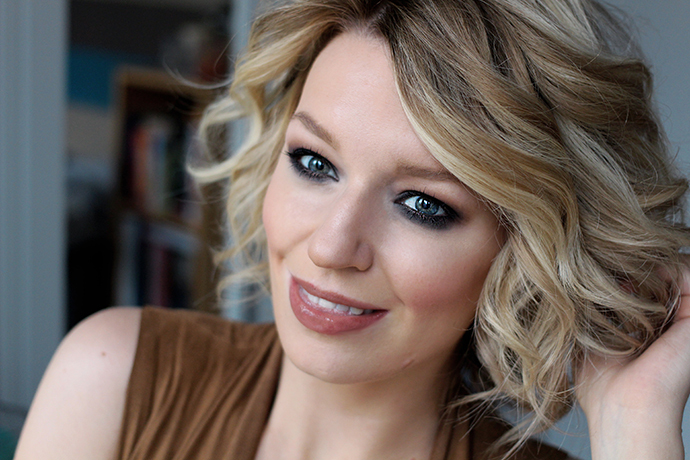 Once I am happy with the curls, to make it wavy I simply took a flat paddle brush through my hair from root to tip – very gently as to not disturb the hair too much or to allow it to go frizzy. 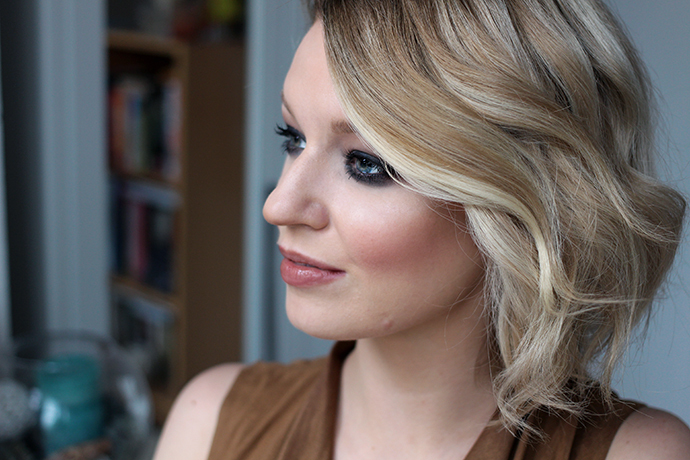 You will be left with a soft, tousled wave like in the images below! 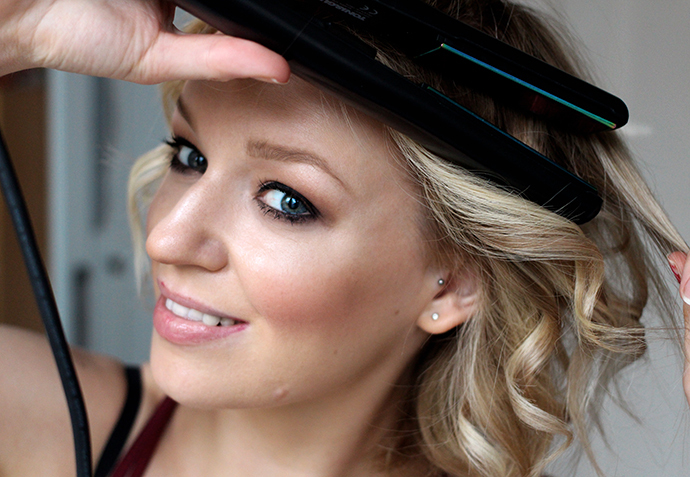 I just love how versatile this tool is and I am extremely impressed with how easily it curled my hair. You also get a gorgeous sequined heat protectant pouch to store them in along with a cute quilted heat resistant mat. Now this would make a fantastic Christmas present – it is currently £44.99 instead of £90.00 on the Superdrug website. However, if you want to be in with the chance of WINNING your very own set then enter the Rafflecopter giveaway below! I will announce the winner over on my Twitter next week. Good luck everyone!